The Winter 2017 edition of the YAACS newsletter is out! As always, we reprint our column here so you can see what we’ve been up to. This season we’re featuring 10 Canadian children’s and YA books we’re looking forward to reading this year. Want to read our past columns? 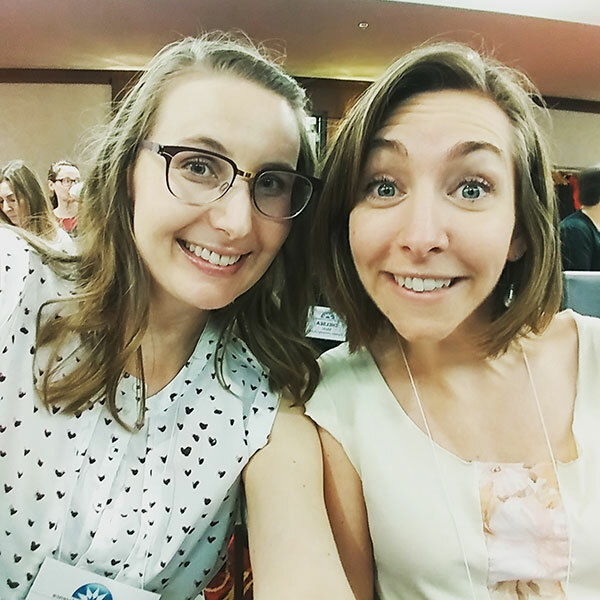 Check out the links at the bottom of our Professional Development page. Here’s our column, We’ll Link to That! We recently shared some 2017 picture books we’re looking forward to reading based solely on cover appeal. Today we wanted to shine a spotlight on some upcoming Canadian books that we can’t wait to get our hands on. Get your collection development funds ready! 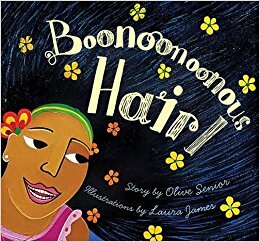 Boonoonoonous Hair by Olive Senior, illus. by Laura James: We dare you to say the title five times fast! This book features a little girl learning to love her curly hair. Award winning author Olive Senior splits her time between Jamaica and Canada. 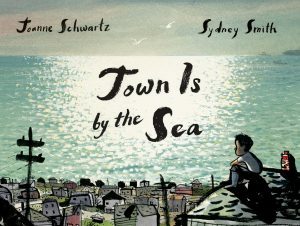 Town is By the Sea by Joanne Schwartz, illus. by Sydney Smith: A Nova Scotian author and illustrator duo bring to life a small boy’s day as he imagines his father in a coal mine beneath the waves. We can’t wait to see how Smith of Sidewalk Flowers fame brings to life this element of Canadian history. Hurry Up! by Anne-Sophie Tilly, illus. by Julien Chung: What makes this concept board book so special? It’s trilingual! 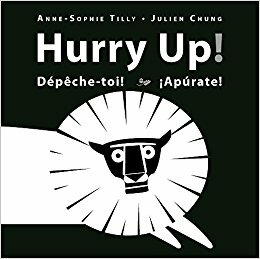 Each page shows an animal and the name in English, French, and Spanish. A great purchase for your babies and toddlers. Look for the companion book Don’t Move! 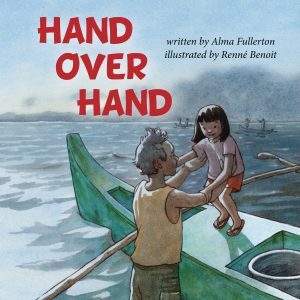 Hand Over Hand by Alma Fullerton, illus by Renné Benoit: Fullerton wrote this book after a school visit where a young girl asked her why so few children’s books takes place in the Philippines. Follow Nina as she convinces her grandpa to take her fishing even though a boat is “no place for a girl.” A challenge to gender stereotypes anywhere. 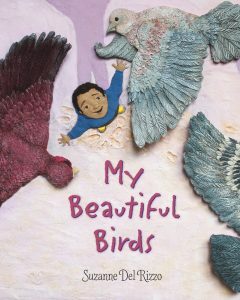 My Beautiful Birds by Suzanne Del Rizzo: A young Muslim boy named Sami escapes with his family to a refugee camp where he finds the strength to welcome a little girl who arrives with a new group. The idea for this book came when the author was trying to explain the Syrian refugee crisis to her young children. With so very few picture books about the refugee experience, this one is a welcome addition. 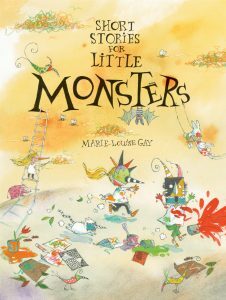 Short Stories for Little Monsters by Marie-Louise Gay: One of Canada’s best loved storytellers is back at it with a collection of 19 short stories filled with important questions like what do trees talk about? and should you make funny faces on a windy day? For budding readers or a family read-aloud look out for Margaret Atwood’s A Trio of Terrible Tales which is also coming out this year! 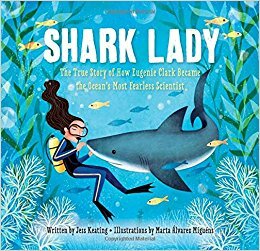 Shark Lady: The Daring Tale of How Eugenie Clark Dove into History by Jess Keating and Marta Alvarez Miguens: Dipping our toes into the waters of non-fiction isn’t so scary thanks to the incredible research of Eugenie Clark! This illustrated biography tells the story of how Clark studied sharks and was able to dispel many myths about these misunderstood creatures. 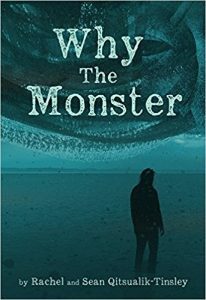 Why the Monster by Rachel Qitsualik-Tinsley and Sean Qitsualik-Tinsley, illus. by Toma Feizo: This is one of many books scheduled to come out from Inhabit Media this year. Set in the Arctic and bursting with powerful mystical creatures and adventure, this teen read is for fans of Percy Jackson. While you’re at it check out Inhabit Media’s site, their aim “is to preserve and promote the stories, knowledge and talent of Inuit and northern Canada” and they have many exciting titles which do just that! 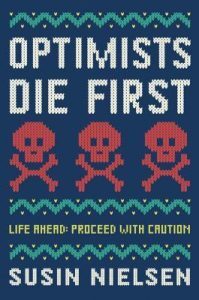 Optimists Die First by Susin Nielsen: Do we need to say anymore? Not really, but we will anyways! Cats! Knitting! And Nielsen’s incredible ability to create characters who deal with loss and tragedy in the most human way possible. If the reviews are to be trusted you will fall in love with Petula and be kept guessing about Jacob until the very end. 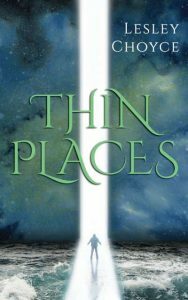 Thin Places by Lesley Choyce: This is another very talented Canadian YA author with an exciting new book. What got us: this one’s written in verse! If you are a fan of Gabrielle Prendergast (who also has a new book out this year) but love a fantasy twist follow main character Declan to places where the barrier between the human and spirit worlds are thing. What books are you looking forward to reading in 2017? We’d love to hear about it! Give us a shout at jbrary@gmail.com. Fellow people who serve children in libraries: We are an amazing group, you know that? The willingness to share ideas and resources is one of our best features. You can go on Facebook or Twitter, ask a question, and hundreds of people are there to engage. You can also check out the many youth services blogs! Maybe you’ve thought about starting a blog before. Maybe you’ve quickly decided against it because it looks like a lot of work. Or because you think you’re not tech savvy enough. Or because you’re not sure what to say. Or because you simply have too much on your plate right now. It allows us to categorize and store your ideas for easy access in the future. A link to your post will appear on one of our programming pages. It shines a light on the creative work your library is doing to serve children. Your library and staff get a virtual fist bump. It helps other people! Many people use our blog and other blogs to do research for programs they are considering running. So this is an open call for guest posts of any nature related to youth services work in libraries. Have an idea for a post? Shoot me an email at jbrary@gmail.com. Give blogging a chance. You might just discover you love it.